We’ve all been holding our breath, counting down to the big day, and it’s finally here! 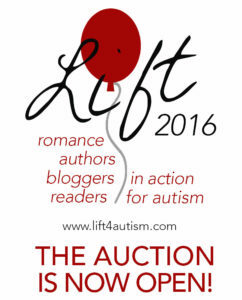 The 2016 LIFT4Autism auction, raising funds for autism families struggling to pay medical and therapy costs, is LIVE!!! The prizes are AMAZING!!! 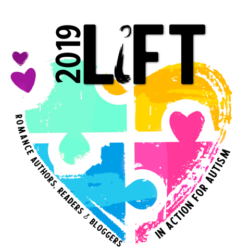 You’ll see when you start looking through the list, but just to tempt you: Kristen Ashley, J. Daniels, Sylvain Reynard, S.C. Stephens, K. Bromberg, Kim Holden, Jay Crownover, Penelope Ward, Vi Kreeland, J. Redmerski, Colleen Hoover – and so many more! Plus: Amazon Echo, Kindle Fires, Kindle Paperwhite, book-themed goodies! Amazing authors and prizes. All for families on the spectrum in need! Let the bidding begin! Only 36 Hours Left to LIFT!